Eboney Pearson is the President of the Long Beach Democratic Club. Her professional background includes contracted work with Rand Corporation, local and state campaigns, and volunteering on Political Action Committees. Eboney graduated from Fresno State with a Bachelor's Degree in Family Sciences. Steve S. Kang is the Director of External Affairs for Koreatown Youth & Community Center (KYCC) and is the weekend anchor of a Korean-language news program at KBS America. He brings a wealth of experience having worked in the nonprofit, public, and private sector. Prior to joining KYCC, he served as District Director in the CA State Assembly and Executive Director of the Korean American Coalition - Los Angeles (KAC). Kyle Lee is a Field Deputy for Asm. Mike Gipson (AD 64). Kyle previously served as a United Nations Action Ambassador involved in environmental policy projects. He received his B.A. from California State University, Dominguez Hills. Tae Kang is the first full-time employee and Special Projects of Harbor Freight Tools for Schools. Prior to this, he served as a high school teacher in Wilmington, DE and middle school teacher in Inglewood, CA. Tae graduated from UCLA with his Master of Public Policy (MPP) and from the University of Notre Dame with a MA and a BA in Theology. Kenneth Ahn is currently working as a Senior Caseworker / Data Manager for Congressmember Karen Bass. He received his B.A. in Psychology from U.C. San Diego and his Master of Social Work degree from the University of Southern California. John Yi is currently the Executive Director for Los Angeles Walks, a pedestrian mobility advocacy group. John previously served as the Advocacy Director for the American Lung Association in California and Interim National Director for Parent Revolution. He received his Masters degree at Georgetown University and his Bachelors degree at the University of Michigan. Yena Ji is a staff member for Los Angeles City Councilmember David Ryu. Daniel Park is staff member for Los Angeles City Councilmember David Ryu. He graduated from the University of California, San Diego, with a degree in Political Science. Daniel is actively involved in political campaigns at the local, state and federal level. Robert Park is the Central Area Representative for Los Angeles Mayor Eric Garcetti. He previously worked for Asm. Miguel Santiago. Robert earned a Bachelor of Arts in Political Science and International Relations from the University of California, Los Angeles. Evette Kim is the Director of Development for the Center of Asian Americans United for Self Empowerment (CAUSE). Previously, she worked as a District Representative for Sen. Anthony Portantino and Election Division as a Bilingual Outreach Specialist for the Los Angeles City Clerk. She joined the U.S. Army in 2014 and is proudly serving her country. Evette graduated from Chapman University with B.A. in both Political Science and Peace Studies. Tammy Kim is the Managing Director of the Korean American Center, a division of Korean Community Services, a nonprofit based in Orange County. Prior to that, she spent over 20 years in the private sector having led global Talent Acquisition and Human Resources functions for technology companies ranging from Silicon Valley start-ups to Fortune 500 companies. She received her B.A. from Michigan State University. Edward Lee is a Clinical Assistant Professor of Medicine at USC and teaches residents and medical students at Keck Medical Center and Los Angels County+USC Medical Center. He is a physician leader who has worked for many years in non-profit leadership. He enjoys caring for homeless patients as a volunteer physician. Leslie Shim is a Planning Assistant for Department of City Planning in Los Angeles. She previously worked as a Management Assistant for the Office of Community Beautification with the Board of Public Works and in the Housing + Community Investment Department. Leslie received a Bachelor of Arts in International Development as well as in History from UCLA, and received a Master of Public Administration from USC. 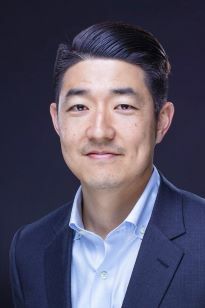 Junhee Doh serves as a Policy and Research Analyst within the Educational Equity team at Advancement Project California. Previously, she served as a Junior Research Consultant for the United Nations Development Programme Seoul Policy Center. She received her Bachelor’s in Economics and Public Policy Studies from the University of Chicago and her Master’s with Highest Honors in International Cooperation from the Graduate School of International Studies, Seoul National University. Semee Park currently serves as the Director of Neighborhood Council Operations at the Department of Neighborhood Empowerment, overseeing 47 of the 99 Neighborhood Councils in Los Angeles. Previously, she served as a Legislative and Field Deputy for the Twelfth Council District. Semee enjoys art, farmer’s markets and music. Paul Seo currently serves in the Los Angeles County District Attorney’s Office as a Deputy District Attorney. He previously served in the U.S. Army and completed his service as a Captain. He received his B.S. from the United States Military Academy, West Point, his J.D. from Loyola Law School, and attended Harvard University, Kennedy School of Government’s Executive Program for Senior Executives in State and Local Government. Francis Yang is an Organizing Representative for the Sierra Club. Paid for by the Korean American Democratic Committee. FEC ID #C00405563.